Bodybuilder Chris Bumstead recently took to social media to provide an update on his physique to his online fans. To be fair, he’s looking pretty jacked too! 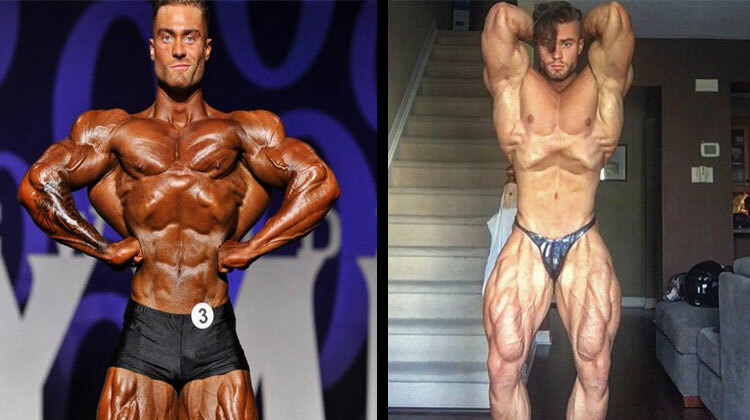 If you’re a fan of bodybuilding, you’ll have seen some pretty phenomenal physiques that are showcased not just via social media, but on the bodybuilding stage too. One such person to possess a great physique – the almighty Chris Bumstead. For those who aren’t already aware, Chris Bumstead has become a social media celebrity in recent years. Hailing from Canada, he entered the realm of competitive bodybuilding back in 2014. ‘Guilty of hiding out in the off-season and not putting out update shots, but I’ve finally been getting back to training legs so I thought I’d share. Probably the leanest I’ve ever been waking up at 255lbs which is 25lbs above my weight cap for this year. No I’m not going to let up on training intensity, rather I’m going to increase the frequency of which I train my weak areas such as back and arms. Intensity is only goin up from here on out’. Chris Bumstead has undoubtedly come on leaps and bounds ever since bodybuilding became part of his life. His recent social media update displays his hard work and dedication in the weights room – making him the perfect role model for gym-goers from across the globe.